Most days, nothing wakes me up quite like a large cup of coffee. Some days I take it with a couple of sugars and creamer, while other days I'll take it straight. It all depends on how much "reviving" I need that particular morning. Fortunately as of late, I've been able to get an extra shot of coffee--- but not in the usual way one would expect. What if I told you this AM, it wasn't only the coffee in my cup, but the coffee in my skin care that truly gave me the wake up call I needed? For the last couple of weeks, I've been testing the Origins GinZing™ line sent to me complimentary by Influenster and I must say, it has my nose (and eyes) wide open. Check out my thoughts on the cleanser, eye cream, and moisturizer after the jump. I've you've been reading here for a while, you already know I'm always hype about trying new skin care products. And if the products come highly recommended and target my main concerns of anti-aging, brightening/radiance, or hyperpigmentation, sign me up! 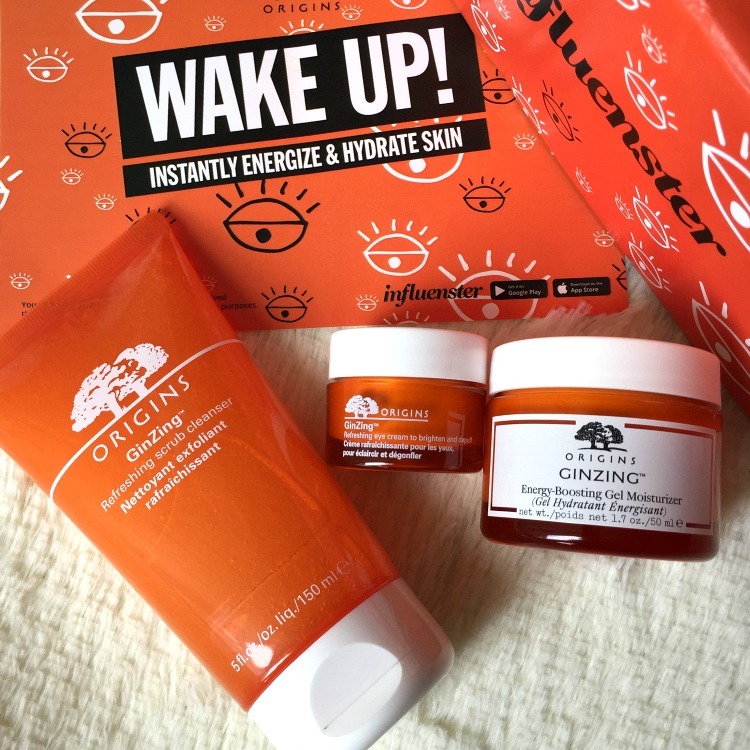 So when I was contacted by Influenster to try the Origins GinZing™ Faves, I couldn't say yes fast enough. These products are all powered by Coffee, meaning they are each "formulated with Coffee to wake up, revitalize & restore radiance to tired skin." Now I don't know about you, but I know I don't get as much sleep as I should. Nor do I hydrate by drinking as much water as I should, either. Consequently, both of these bad habits affect your natural glow. So in order to aid my glow-up I looked forward to putting these products into my morning skincare routine. Read below to see how well each product has been working out for me. Origins GinZing™ Refreshing Scrub Cleanser- Opening this cleanser each morning and spreading it across my face gave me this odd but satisfying burst of energy. At first I thought it was just my early morning playlist boosting my endorphins, but as the days progressed I realized it was the uplifting aroma of this cleanser totally awakening my senses. This refreshing cleanser is gel-based and formulated with exfoliating beads, combining both the cleansing and exfoliating steps in the regular skin care routine. I love using effective products that contain two steps as it saves time and money, so that makes it a win for me. I also love that after using, my face feels smooth to the touch and looks so radiant-- just like I had gotten a full 8 hours of sleep. 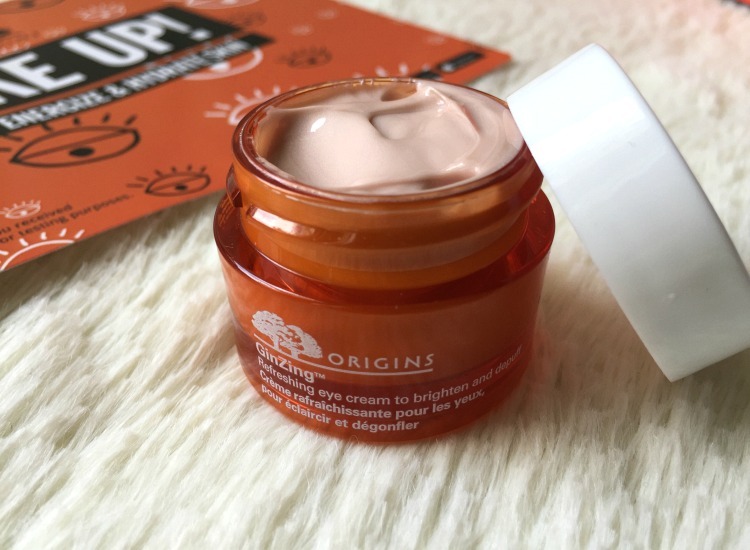 Origins GinZing™ Refreshing Eye Cream-- This eye cream is definitely refreshing, as the title states. It has a lightweight, creamy consistency. And once applied, it gives this nice, cooling sensation that stops that early morning puffiness dead in its tracks. The cream appears to be tinted, giving a brightening effect to the under-eye area and an instant remedy to dullness. I love that the scent isn't overwhelming, as my eyes are sensitive and can't tolerate heavy-scented facial products. However, I don't see much of a change to the dark circles under my eyes just yet. Though the area under the eye appears radiant, I can still see the darkness there and I've been using it for a couple of weeks. Perhaps this will change with continued use. Either way, this is a great hydrating eye cream. 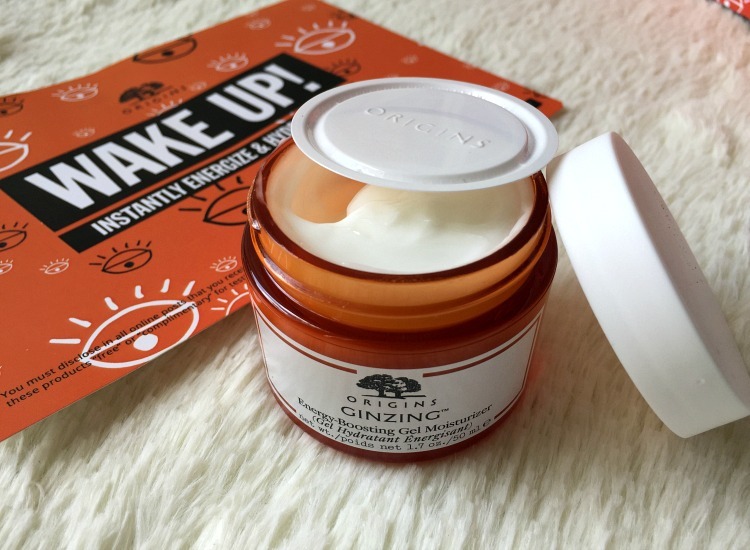 Origins GinZing™ Energy-Boosting Gel Moisturizer- When I read a moisturizer's label and see that it is a gel, I automatically assume it is thin, sticky, and has a watery consistency. But that is definitely not the case with this energy-boosting gel moisturizer. Though it is lightweight, it is rich and thicker that I was expecting. And much to my surprise, the moisturizer applies smoothly and doesn't leave that sticky feeling afterwards. Once applied, it has this nice cooling effect on the skin. And it completely hydrates, especially in my t-zone that often feels dry after exfoliation. I do love that a little product goes a long way. Like the eye cream, this moisturizer is very lightweight yet effective. It contains a faint hint of citrus and feels like a dream on the skin. For me, it's the ideal moisturizer for the summer and my combination skin. All in all, I am quite pleased with these products so far. I'm impressed with how well the cleanser purifies my skin without stripping it and how well the moisturizer hydrates my skin. And while I like how well the eye cream hydrates the delicate area under my eyes, I'm still waiting to see if it's going to lighten and brighten that area. Needless to say, each item is definitely a part of my current skin care regimen now. Hopefully with consistent and extended use of these items, my summer time glow will be further boosted! Shoutout to Influenster and Origins for sending over these full-sized items to test and review. To get more familiar with these products and/or purchase, be sure to check them out over at Sephora. Have you tried the Origins GinZing™ Skin Care line yet? 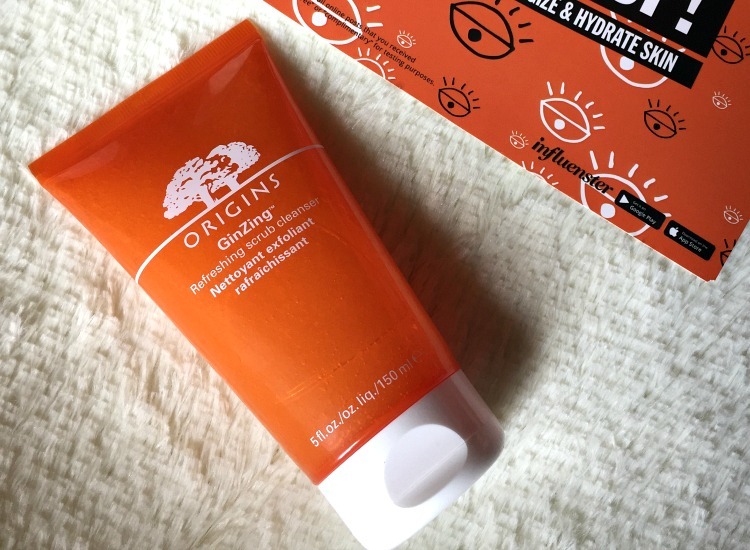 Disclosure: I received this product complimentary via Influenster and Origins for testing purposes. All thoughts and opinions expressed are my own.. To see more about my disclosure policy, click here.